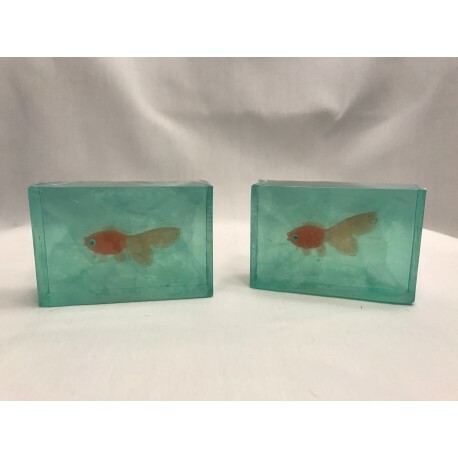 Handmade glycerine honey based soap with goldfish inside. Each bar weighs around 4 ounces. Scent is Island Nectar, a tropical blend of passionfruit, blooming jasmine, sugared citrus and exotic florals. 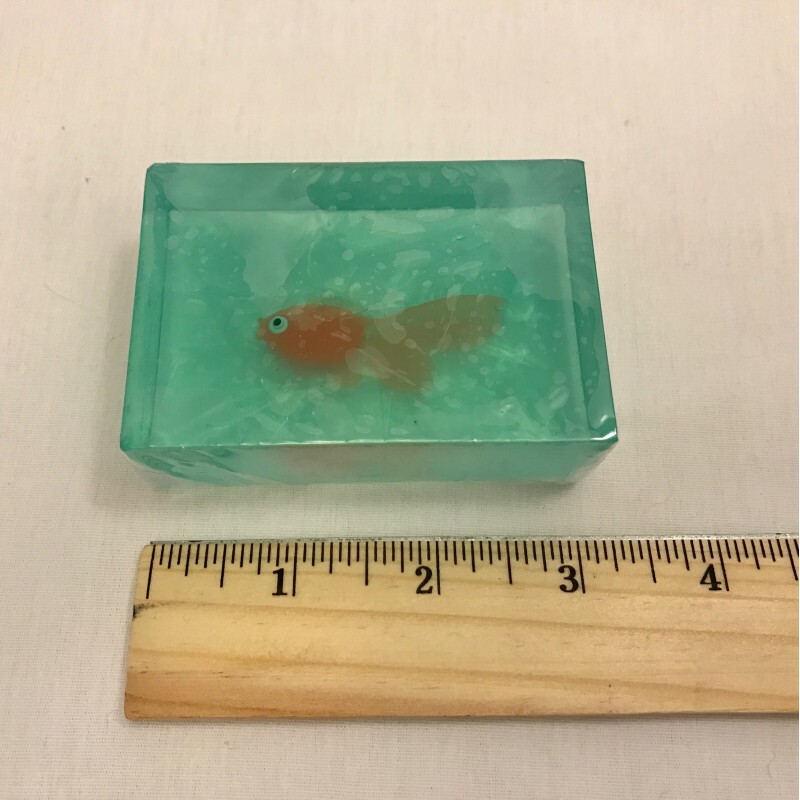 Caution choking hazard: small parts, not intended for children under 3 years old.